Everyone needs companion, and so do kitten and rooster. I’m glad that my good friend helps me in translating the Japanese voice-over. 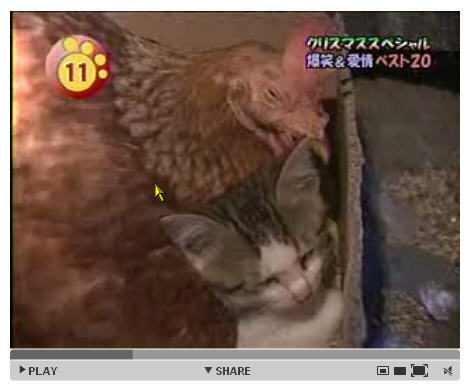 For friends who don’t know Japanese like me, the video is about the love story between the kitten and the rooster, while the kitten exercises ninja techniques to get inside the cage to visit the rooster. Hope the lovely video gives you a nice start in crazily busy days!